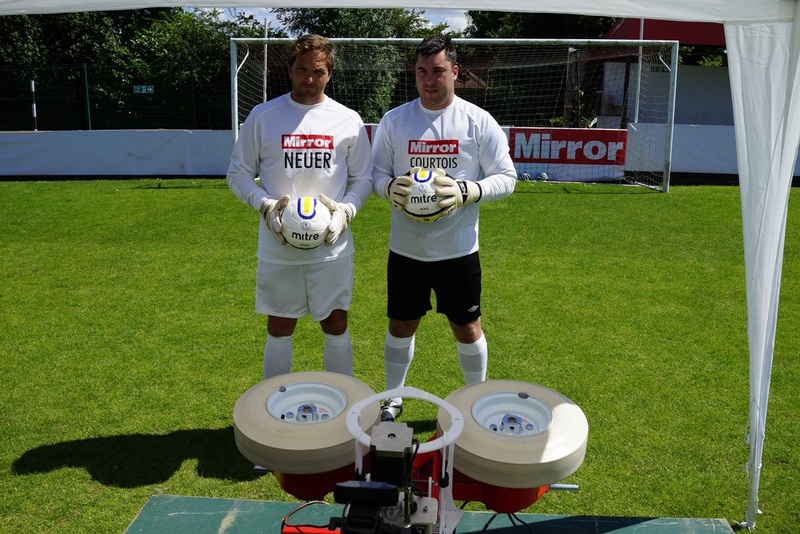 To celebrate the opening of the Brazilian World Cup, we developed an interactive penalty shooting robot so that viewers of Daily Mirror website could take a Penalty Click against Manuel Neuer (the German goalie) from the comfort of their own homes. 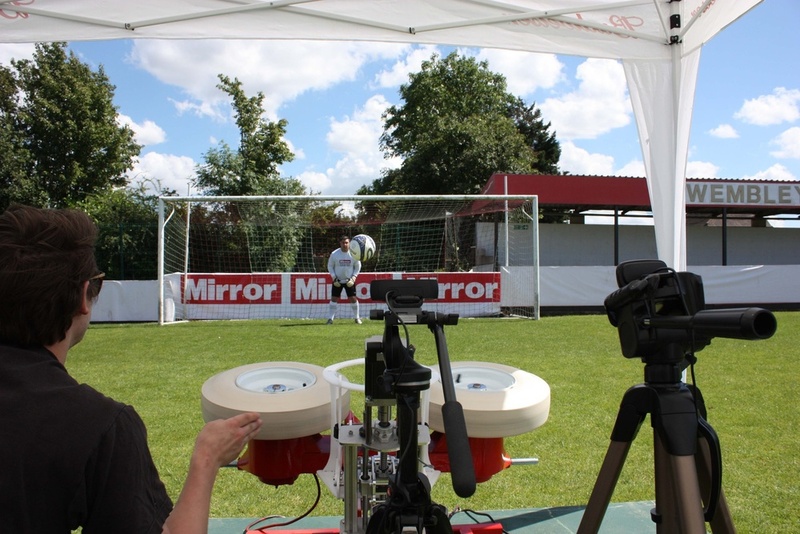 A live video stream shot from behind the robotic penalty machine was watched by thousands of people from around the world. 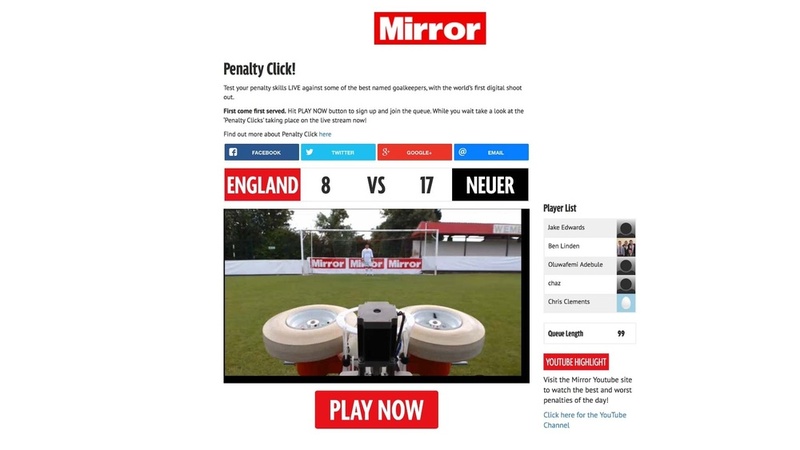 Players signed up using their social network account, waited in the queue until it was their turn and then took their Penalty Click for England. 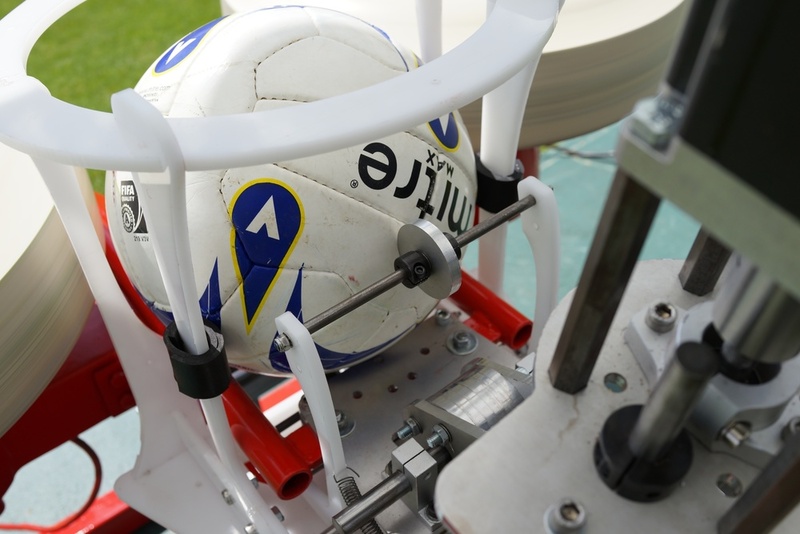 The robot would rapidly align itself with the coordinates given by the player, then fire a ball at speeds of up to 100mph. 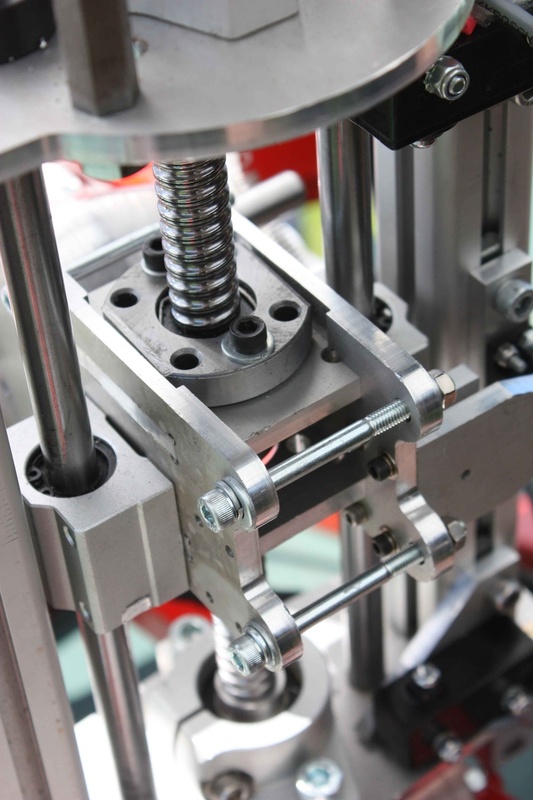 Each Penalty Click was recorded via a software controlled app. The app overlayed the player's nane and profile picture, then automatially uploaded the video to YouTube.